Lamp Of Aladdin. Games online. 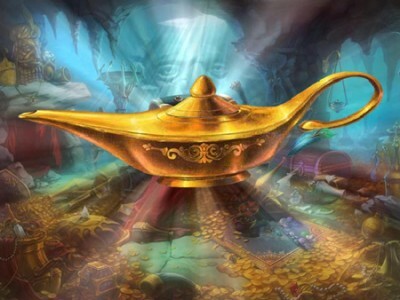 Aladin found the treasure cave but he has to find all elements of the hidden objects in order to unlock the chest and get the lamp. After putting together an object you will open a secret compartment where you will find the pieces of the next object. Start with the dagger on the left. Each level will reveal new secrets and new puzzles.